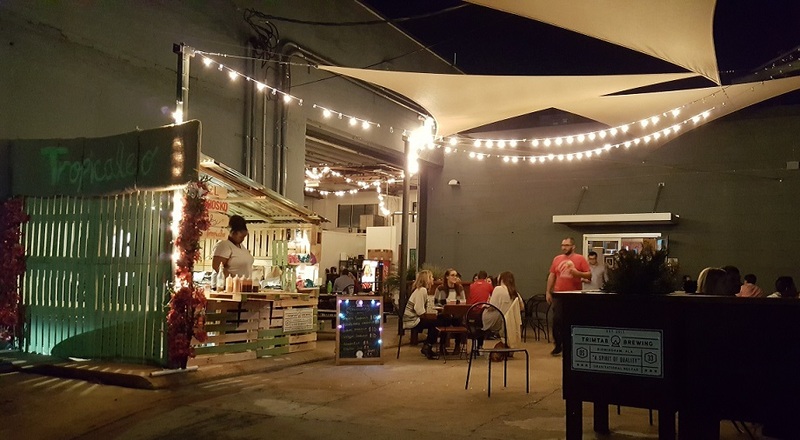 This Amazing Puerto Rican Food is Already a Birmingham Favorite! 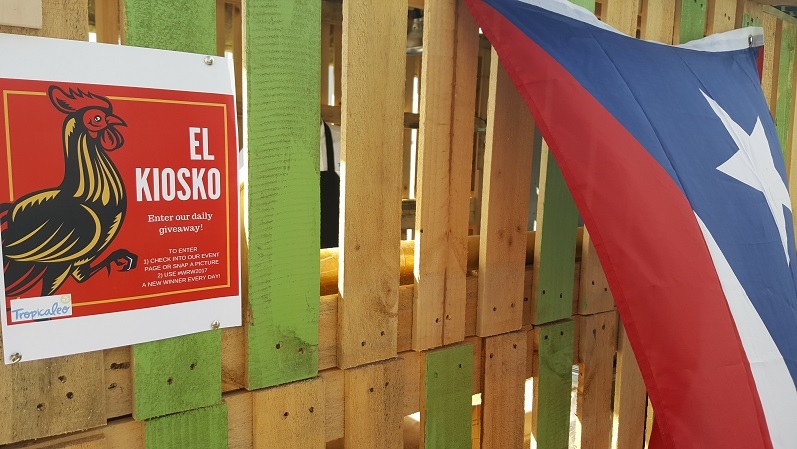 Our first stop for Winter Restaurant Week was to Tropicaleo's "El Kiosko" at Trim Tab Brewing Co.! If you haven't tried Tropicaleo yet, this Winter Restaurant week is the best time to do so! Graduates of Co.Starters Birmingham, and winner's of the 2016 Big Pitch, Gabriel Marrero and his wife Maria have made a big impact on the Birmingham food scene. 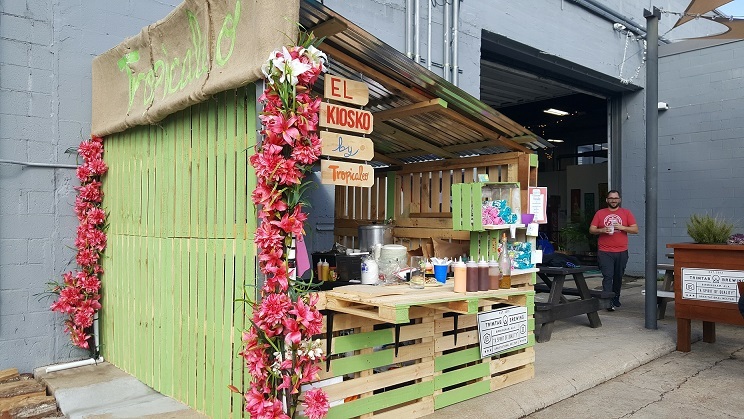 One look at the Kiosko they set up at Trim Tab and you'll start planning your next beach trip. It looks awesome! We stopped by for lunch and were greeted by the always energetic owner, Gabriel. It was time to get down to business and try the amazing items they have for #WRW2017. 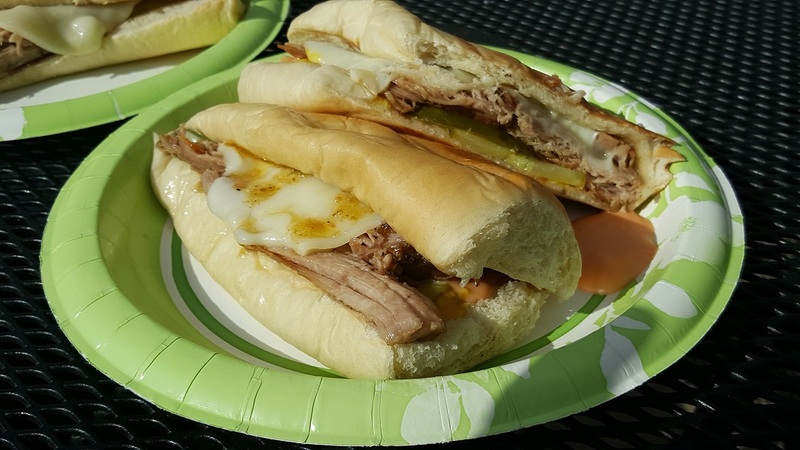 We tried an El Cubano Sandwich made with Puerto Rican style Pulled Pork and were amazed! It's very filling and bursting with flavor. At first glance it seems simple, but it is so so good! There are a variety of different sauces available to add to the food, so we opted to use a spicy vinegar which adds the perfect amount of bite to the sandwich. They also have a Veggie Sandwich available that has Eggplant, Hummus, and Tomatoes if you aren't big on meat. For the dessert we had warm Maicena. 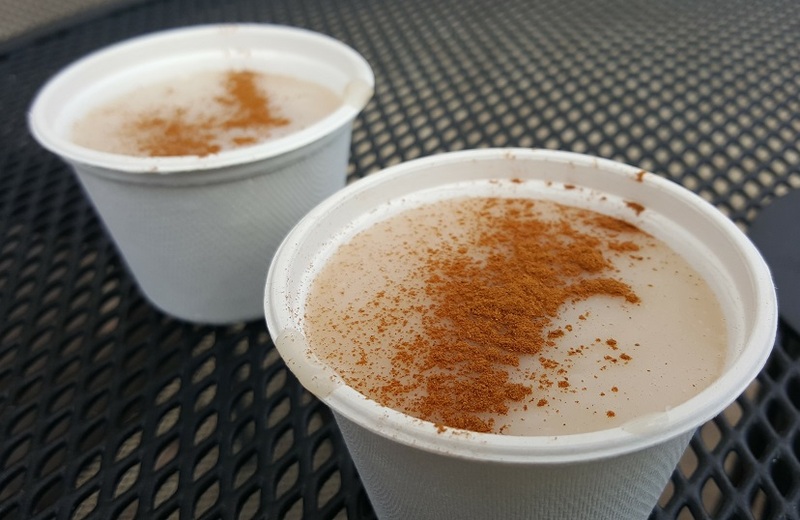 This is a traditional Puerto Rican breakfast dish made of cornstarch, almond milk, vanilla, sugar, and topped with cinnamon. We could drink it by the pitcher! The texture is perfectly balanced and it is just the right amount of sweet. For beverages they offer sodas made with all natural flavorings that are so refreshing! Full disclosure here; we went BACK to Trim Tab that night for an event and ate even more food! Gabriel insisted that we try the Plantain Soup. Tropicaleo can find as many uses for plantains as George Washington Carver did for peanuts! The soup reminds us of a hearty potato soup. It is warm and very filling. Gabriel then gave us some more Maicena (YAY!) which we (mostly Russell) finished off quickly! Tropicaleo uses all natural ingredients in their food and also uses paper products made from recycled material which is a big plus in our book! Tropicaleo will be offering brunch options both weekends during Winter Restaurant week. We guess we'll have to try those too! At at $10 WRW price point you can't go wrong. ADDED BONUS: Tropicaleo is also doing a giveaway every day during Winter Restaurant Week. You just need to use the hashtag #WRW2017 when you try their food and you'll be entered to win! 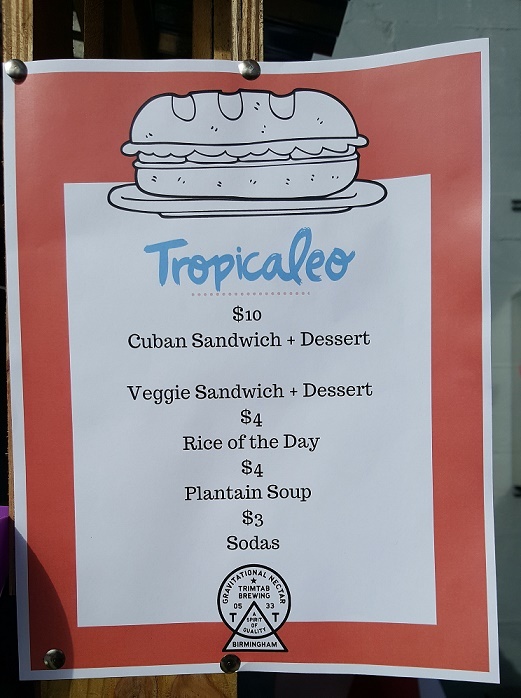 We are so excited that Tropicaleo is able to showcase their great food during #WRW2017. They are set to be part of The Pizitz Food Hall experience when it opens soon and have their first permanent location set to open near Cahaba Brewing Co. later this year! Don't wait until then. Go try some of their delicious food now! We hear it pairs great with a couple of Trim Tab brews!